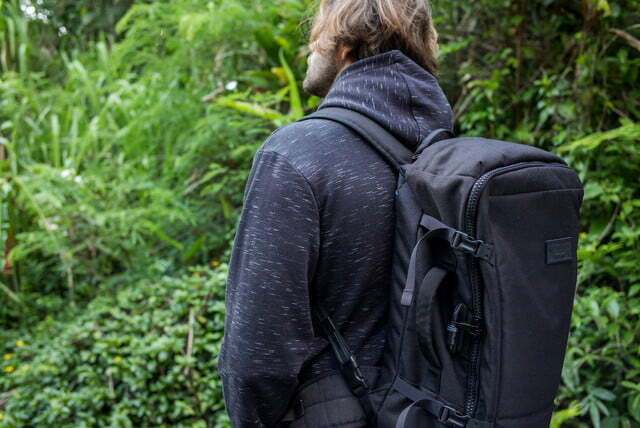 Outdoor apparel manufacturer Quiksilver teamed up with Pacsafe, a company best known for designing an array of products for adventure travelers, to create two new travel bags built specifically with surfers and snowboarders in mind. 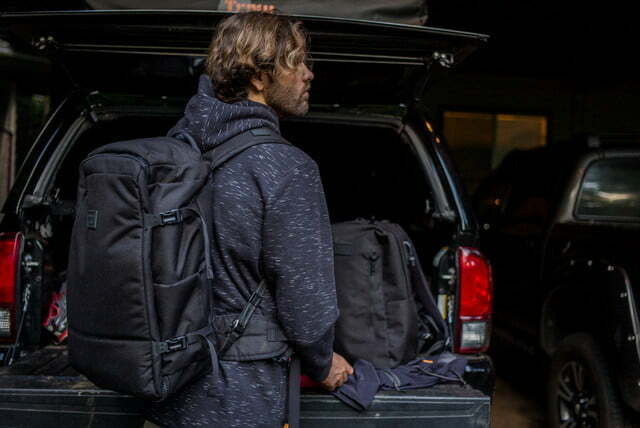 Both companies brought their expertise together to create both a backpack and a carry-on bag with features that will appeal to boardriders on both snow and water. The larger of the two bags is the Quiksilver X Pacsafe 40L Carryon Pack, which comes with a removable bag designed to keep wet and dry items separated from one another. 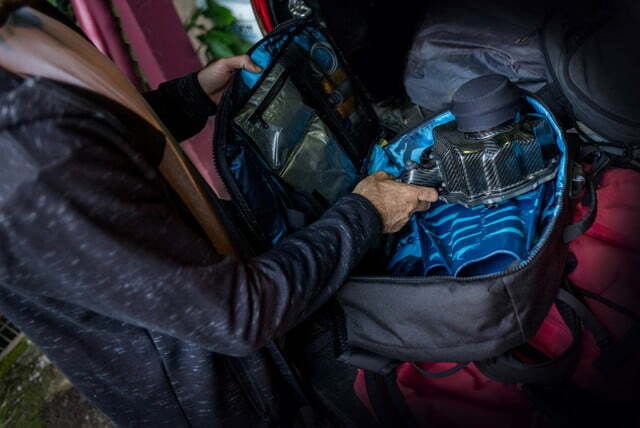 With 40 liters of capacity, the Carryon has plenty of room to hold a wetsuit or a variety of winter layers, while still having enough space left over for hauling casual clothing, shoes, gear, and more. There are even heavy-duty tarpaulin pockets for stowing board wax, fins, and other gear. The Carryon includes adjustable straps and a padded back panel designed to make it easy to cart around in just about any type of environment. The 40-liter Carryon will sell for $190 when it begins shipping in January. 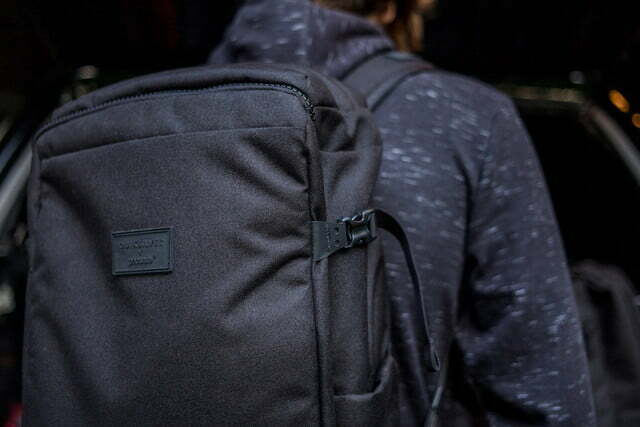 The second bag in the Quiksilver X Pacsafe line is the 25L Backpack. As the name implies, this pack features 25 liters of storage capacity and comes with numerous organizational pockets to stash all of the important items that travelers take with them when they hit the road. 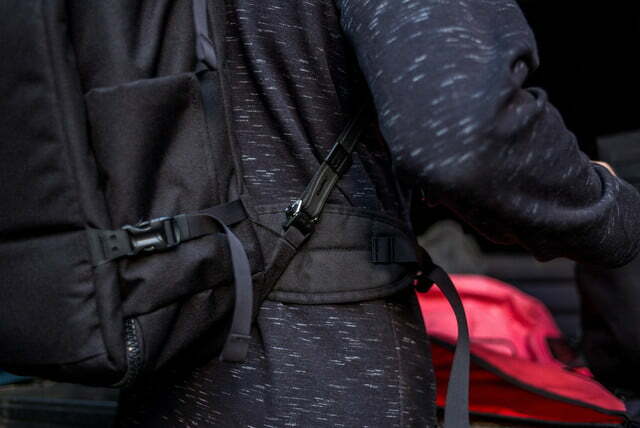 The backpack includes secure areas for holding laptops, tablets, and other devices, as well as tech accessories like cables, battery packs, and chargers. To help protect those fragile items, the pack includes extra padding as well. The 25L Backpack will also go on sale in January for $150. 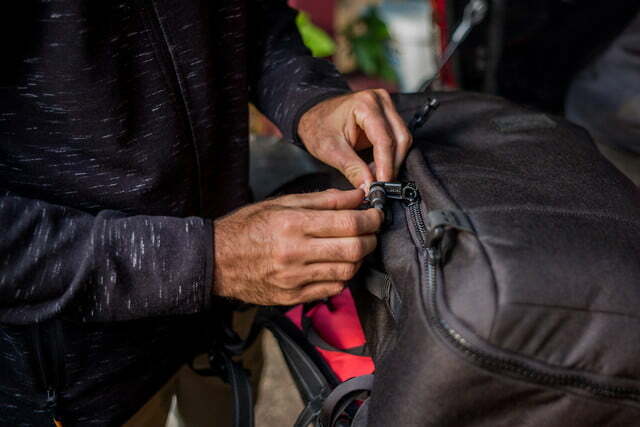 Both the Carryon and the Backpack are equipped with several of Pacsafe’s patented anti-theft technologies to help keep their contents secure while on the road. 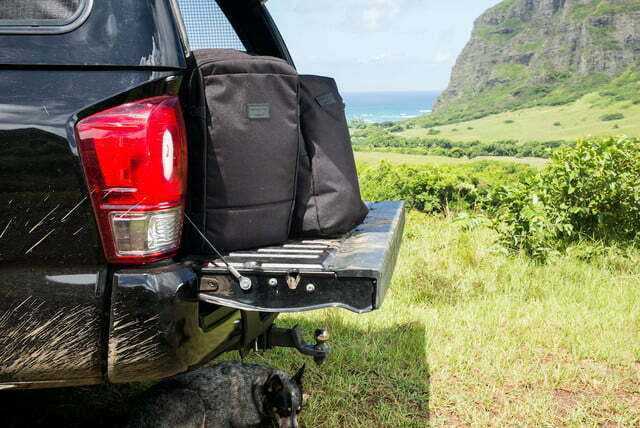 Those features include RFID-safe pockets to prevent electronic identity theft, straps and fabrics made from Dyneema that resist being cut, and security clips that allow the bags to be secured to immovable objects. The bags also feature Quiksilver’s seasonal branding, focusing on both the mountain and the wave. Surfers will find the spring/summer versions of the Carryon and Backpack will include a style that is heavily influenced by Hawaiian culture, while the snowboard editions that will follow later in 2018 will offer similar designs that reflect the nature of that sport. 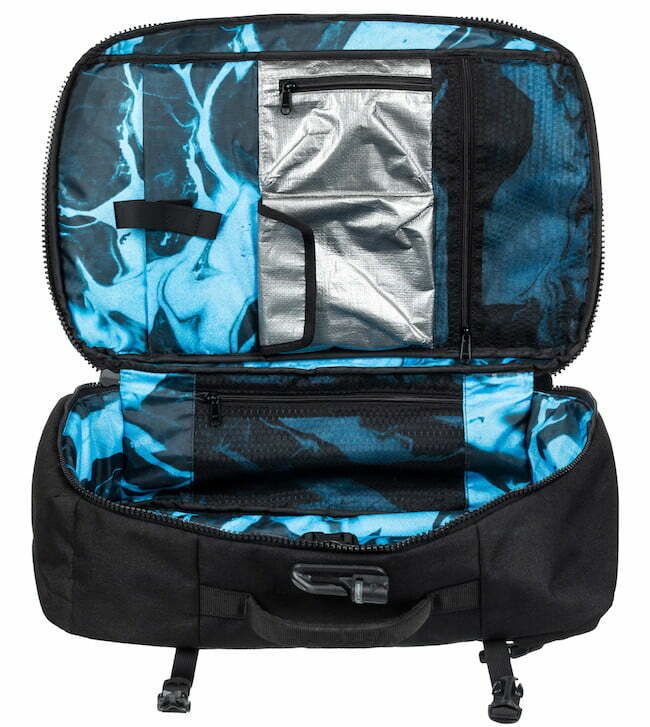 The Quiksilver X Pacsafe line of travel bags will be available exclusively at Quiksilver Boardriders Stores, Quiksilver.com, Pacsafe.com, and select Pacsafe Retailers around the world.